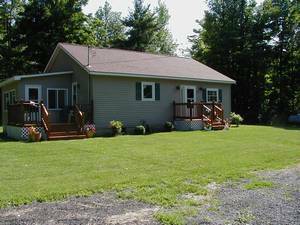 Lovely new two bed room Ranch House on the border of Vermont and Canada. 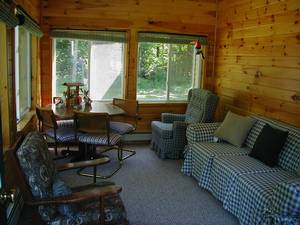 Situated on 12 wooded acres with a lake access of 5 acres on the water. Public boat access less than 1/2 mile away. Enjoy fishing or hunting (seasonal). 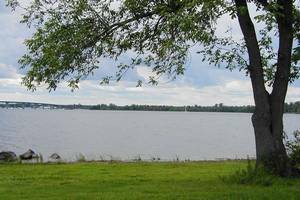 Or enjoy the nite life at Montreal, Burlington, or Plattsburg which are located approx. 45 minutes away, or just relax and enjoy the quiet. This is a photograph of our Lake access. Five Acres on the water. 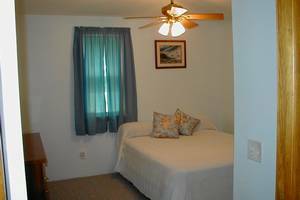 The room is 14'X 12' with a cieling fan and two windows. 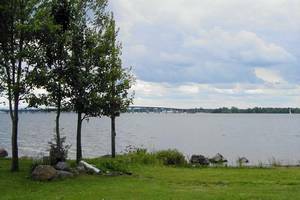 This is just another view of the Lake. 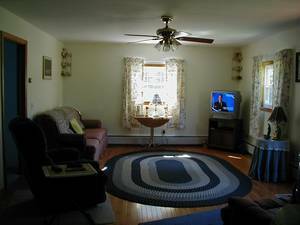 Livingroom is 14'X 23' with hardwood floor,TV w/vhs and dvd player, satelite dish. 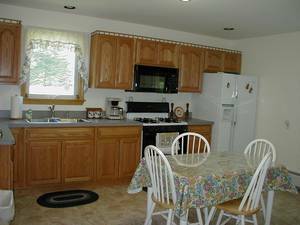 Photo of large eat-in kitchen. 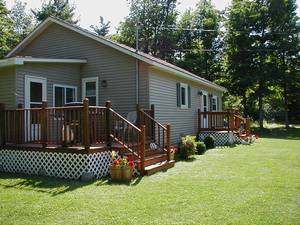 Nice Deck with gas grille table and chairs. Cancellations and Refunds: Full refund up to 1 month full notice.